Sometimes we hold lawyers rather high up on the scale as far as esteemed careers are concerned, but a large percentage of the population do not really understand all that an Estate Planning Lawyer really does. Usually it’s only if we find ourselves caught up in legal proceedings that we start to realize just how complicated the world of an attorney can be. But, if you’ve found yourself in a place where you need legal advice, hopefully this article will help you get off on the right foot. Before actually hiring an attorney, it should be agreed what the fee will be. Once you’ve explained your circumstances, a lawyer should be able to give you an accurate quote of what the charge is. If it is acceptable to you, then go ahead and sign an agreement, but don’t hesitate to get in touch with several different lawyers in order to compare their different pricing, and then go with one you can afford and feel you can trust. You might not be aware that you are entitled to your conversations and the information you share with a lawyer is to be kept strictly confidential. In other words, if you tell them important information about your family’s business or other personal issues, the lawyer is required to not pass that along to anyone else. You should never go with the first lawyer you find. Instead, do your due diligence to find the best possible choice. You really need to be careful and get as much information on their reputation and past performances. Record every time you interact with your lawyer. Write down how much you paid, when you talked to each other, and what you talked about. This can help alleviate problems that can come up later such as excess fees you didn’t expect, or fees you do not understand. Have the lawyer explain to you what their role will be in your case. Make sure that they are planning to file all the necessary paperwork and that they will explain things to you along the way. Keep track of all of your interactions with the lawyer. If you and the lawyer later disagree on what was said or done in your case this could be invaluable. It can be difficult to find the best attorney for what you need if you’re short on funds, but try not to let that interfere because the whole idea is to get the help you need and sometimes that means spending a little more than you anticipated. Before you begin looking for an estate planning lawyer, make certain you understand your legal matter. How will you be able to find a lawyer for your needs if you are unaware of what your exact needs are? Do some research about your situation. This will ensure you make the right decisions going forward. If a lawyer is not cooperative about making sure you understand all that is involved, what they will be doing for you, and agree to stay in touch to keep you informed as their work for you progresses, then find another attorney. There is no reason a lawyer should not be agreeable to this. Following the advice of a qualified attorney is your best way to navigate through legal proceedings. 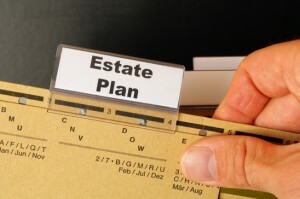 Once you realize how exclusive the jargon is and how complicated the endless regulations are, you will be very glad you’ve got a great estate planning lawyer on your team. Give yourself a fighting chance with legal matters and hire the right attorney.